Guys, guys, guys. GUYS. 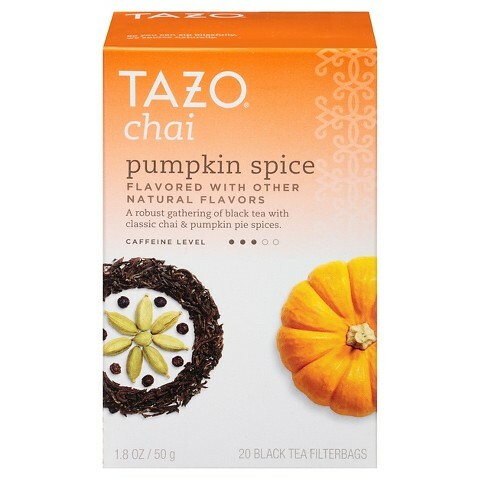 It’s pumpkin spice latte time. For serious. My obsessions with pumpkins knows no bounds. Pumpkins outside, pumpkin pies, lattes, beer. All of it. But especially the lattes and the beer. Unfortunately, those are also among the highest calorie ways to enjoy pumpkin, and I still am shooting to lose another 13 pounds before the end of the year. So, I have been pondering how to get my craving in and still keep shooting to lose weight/ not be a complete fatty. I am still having a few pumpkin beers a week, for my health, you know. 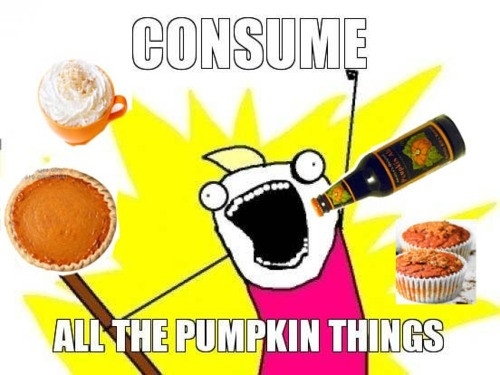 But I am also attempting to find new and healthier ways to embrace pumpkin. I mean, it is a vegetable, so there has to be healthy ways to make it. Below are a few of the recommendations/ products that are helping me. Feel free to try them for yourself and let me know your thoughts, dear reader. Or suggestions. Because Pumpkin. Side note: I linked this Amazon so about once a week I get an email asking me if I would like Amazon to bring these to my house in secret. Irony or karma, your guess is as good as mine. Pumpkin Spinach Smoothie – 3 oz. baby spinach; ½ cup pumpkin puree; 1 cup vanilla almond milk; 1 frozen banana; little bit of cinnamon. It’s not my favorite smoothie ever but it gets the job done and is pretty filling. Plus, it has a lot of the fiber I need in my daily diet. We do make this the night before, but it is better fresh. For me, I make it with 1 cup vanilla almond milk; 1 frozen banana; 2 tablespoons of better’n peanut butter (or almond butter which is healthier but has more calories); 2/3 cup pumpkin puree; and 1 tablespoon pumpkin pie spice. I don’t add ice but that is because we make ours the night before and leave it in the fridge overnight. Also, we don’t currently do protein powder. Paleo pumpkin spice pancakes. So far, I have made this recipe once or twice as is. It’s solid. I’ll let you guys know if I find one I like better. Working on it. Give me time and I will cook with ALL the fall veggies. But they aren’t quite in season yet here in Kentucky. However, if you are looking for a good fall-ish flavor to accompany your pumpkin beer, may I recommend lentils and curry. Together or separate. The flavors just work. I am also totally digging eating peach/goat cheese/ arugula salads for lunch right now. See, I can eat other things other than pumpkin right now. I just choose not to whenever possible. Chia tea latte, especially if you make it at home. Pair ¼ cup vanilla almond milk, 1 cup brewed chia tea, a dash of sweetener of your choice. Brew your tea in a separate mug, then make sure you put the milk in the bottom of the mug you are going to drink out of and then add the tea. I know it is extra dishes, but I think you get a better flavor.